Venereal disease (VD) was endemic in the early twentieth century; estimates were that 1/10 people would contract syphilis at some point in their lives and perhaps 2-3 times as many more would contract gonorrhea. In spite of these startling facts, VD remained a taboo topic because of the stigma associated with these diseases, censored from the media and polite conversation. 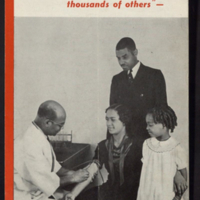 Stereotypes about race, class, and gender along with ideas about morality shaped popular attitudes about these illnesses, which limited public and financial support for public health control programs. As long as the symbols of VD were prostitutes, African Americans, and other marginalized groups, resources devoted to controlling these diseases were scarce. 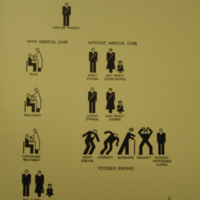 However, in the 1930s, popular attitudes about venereal disease changed dramatically in the United States. 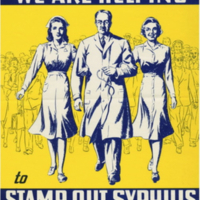 Syphilis and gonorrhea became topics that people commonly encountered in their everyday life—in all types of media, at work and school, and in a multitude of public spaces. Newspapers, popular and professional periodicals, radio programs, films, and other media also covered the issue in greater numbers. 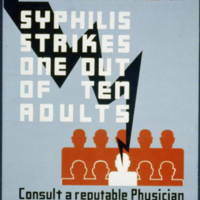 While Surgeon General Thomas Parran made “stamping out” syphilis his pet project during this time, the cause also had widespread support from Congress, medical and public health professionals, social organizations, the press, and the general public. 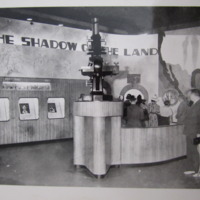 By the late 1930s, federal, state, and local governments had appropriated millions of dollars for VD control, no small feat during the Great Depression. In part this strong commitment to the issue was a result of popular support for the cause among Americans. Approximately 90% of Americans were in favor not only of a government bureau to distribute information about VD but also a Congressional appropriation of over $25 million to help control the illnesses. 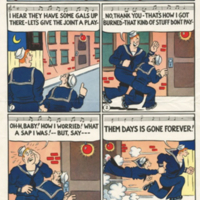 Visual materials were a key part of how the US Public Health Service (USPHS) and their partners at the state and local level hoped to reach a wide audience and educate them about VD. 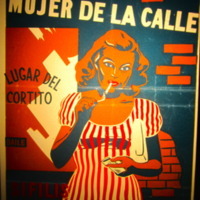 Posters, comics, films, pamphlets, and other visuals included information about the causes, symptoms, treatments, and effects of these illnesses. 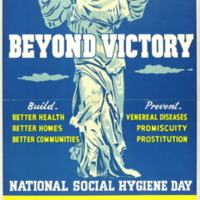 The materials created by the campaign give us insight into not only ideas about venereal disease and this unprecedented federal program, but also broader cultural ideas during the Great Depression and WWII. 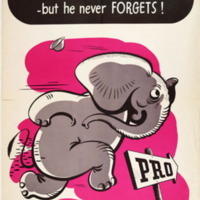 The themes used in the campaign against VD in these years not only tapped into anxieties over social stability, but also built on new ideas about the role of government and the power of science and medicine. Clicking through the topics listed at the top of the page will show you different examples of reoccurring themes in the visuals created by Parran's anti-VD crusade and how they changed over time as the US mobilized for war.